First and foremost, naturally, is through books. We work with several publishing partners to produce works on such subjects as military history, leadership, and national security. Members can order discounted titles through www.ausa.org/ausa-books. 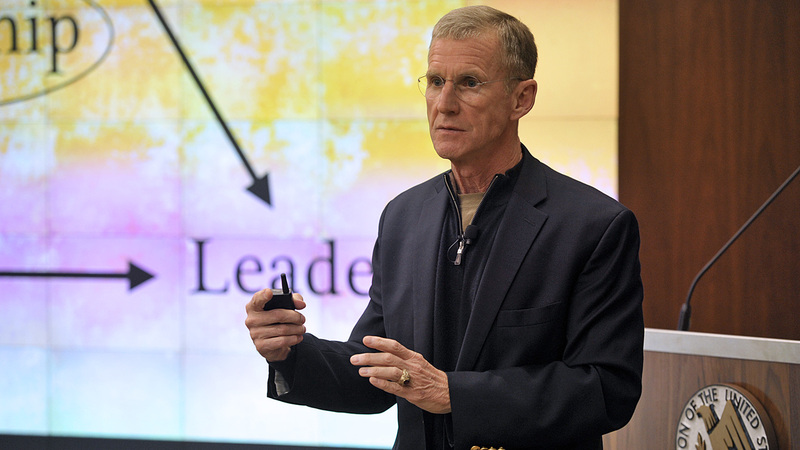 Most recently, retired Gen. Stanley McChrystal presented a Lemnitzer Lecture on his book Leaders: Myth and Reality, and Douglas V. Mastriano discussed Thunder in the Argonne: A New History of America’s Greatest Battle last November to coincide with the 100th anniversary of the end of World War I. (For those unable to attend, the events have been captured on the AUSA YouTube page. The easiest way to keep track of all the developments at the AUSA Book Program is through our webpage at www.ausa.org/books. We also want to make this a two-way conversation, so please reach out with your comments, suggestions and manuscripts — my email address is [email protected].